Looking back, it becomes clear to me that I fell in love with Jerusalem years before I would ever meet her. 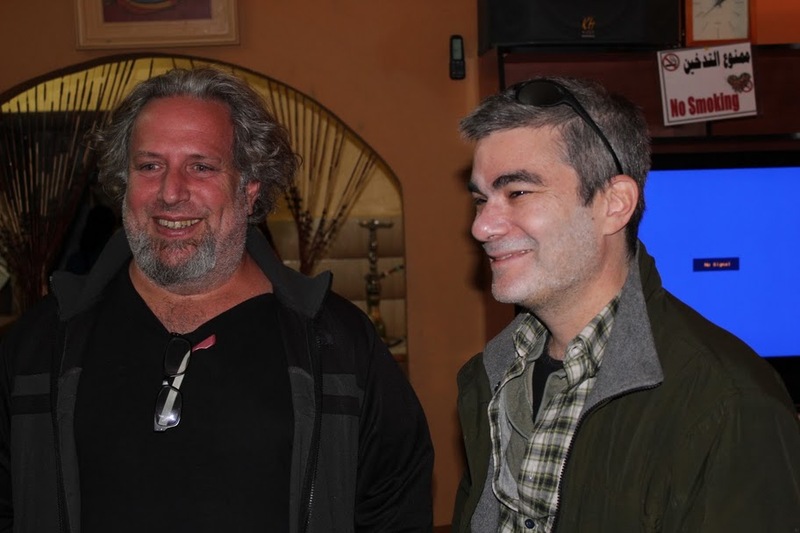 We finally did meet for the first time in 1987, when I went to Israel on a high school summer program. Arriving instantly confirmed my feelings. I saw the forests of trees that I helped to build as a little girl all those times I answered the JNF’s call to give money to plant a tree in Israel. I saw the beautiful Jerusalem stone buildings everywhere. I saw Jews, feeling safe after the Holocaust, walking around proud to be there. I knew I was in love. Subsequently, now that I was in love, I planned to spend my Junior year of college abroad in Jerusalem. But the Gulf War was launched the semester I was supposed to go and I was stuck in the US, separated from my lover. I missed being in Jerusalem so much that I told myself if I couldn’t go Junior year, then I would go for graduate school. I lived in Jerusalem from 1992-1996 and received my Master’s degree in English and Hebrew Literature from Hebrew University. I was still in love. I was a young woman in my twenties living in Jerusalem walking the streets with pride — as though my whole life had led me to live, work, and study in this beautiful city. I deserve to be here, I am welcomed here, I need to be here. 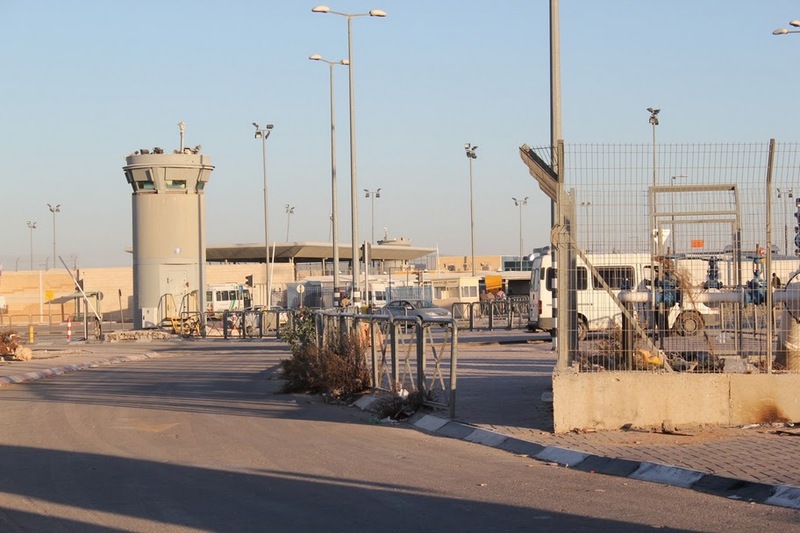 Having just returned from the JRC trip to Israel/Palestine, I can’t get two things out of my mind. First, that my love for Jerusalem still runs very deep. And second, that it does for others even more so. 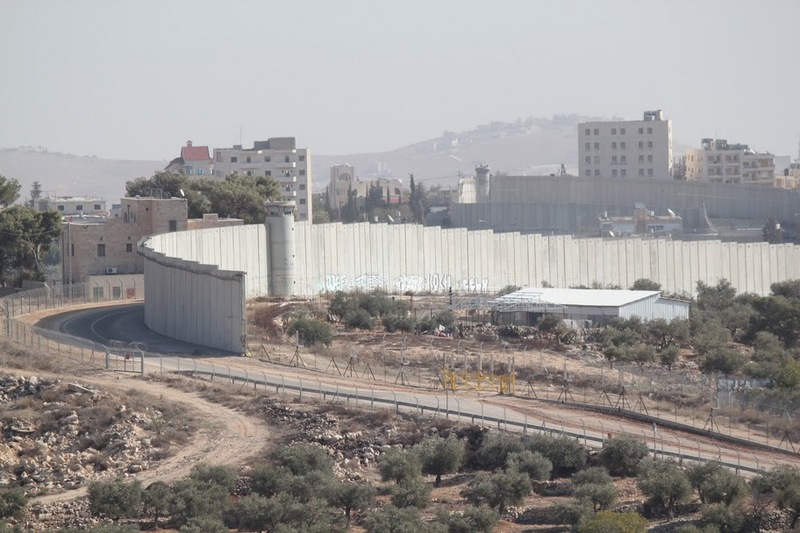 Having stayed in the West Bank once before as a facilitator for Hands of Peace (a Chicago-based Israeli-Palestinian coexistence program), I was not blind to the Palestinians’ plight. For many of the Palestinians with whom I stayed, I was the first Jewish person they had met who wasn’t a soldier. They were hospitable, generous, and hungry to tell their stories. I listened, and when I returned to Chicago, I read everything I could. This JRC trip, however, was very different. It was incredible to go with a group of Jews who had agreed to put themselves in emotionally vulnerable, uncomfortable situations which would require a lot of thinking, reflecting, and feeling. It was as though we all walked out onto a tightrope, knowing we could not go back. 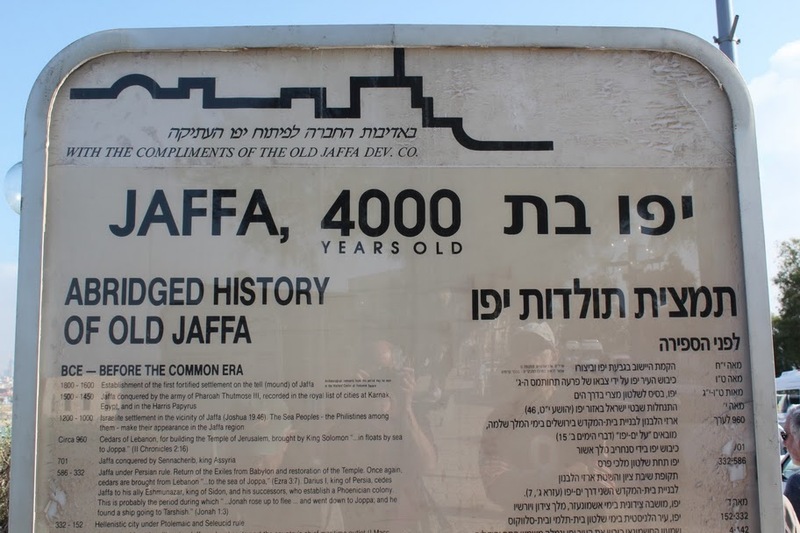 Jaffa. The signs are only in Hebrew and English. Where’s the Arabic? The Palestinians who lived here but were not included in the decisions made in the town are now gone. Deheishe. So many children walking in this refugee camp without shoes. The mother saying to us, “I never leave here anymore. I don’t bother trying to get visas and going through checkpoints. I have my family, and this is our life.” We couldn’t flush the toilet because there wasn’t enough water. The little girl shows me her primer and tells me her favorite class (at the UN school for refugees) is math. Has it really been like this since 1948? Hebron. 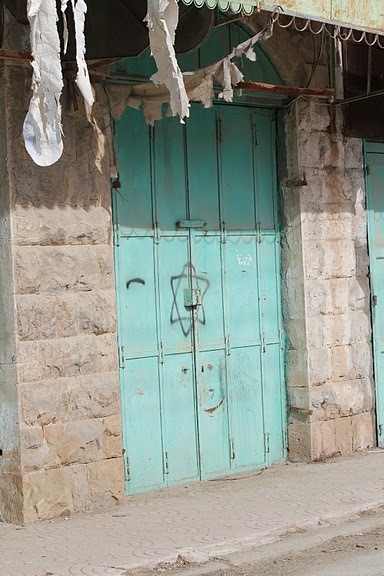 Hebrew graffiti on what were Palestinian shops. Jewish stars, symbols of resilience for me growing up, spray painted on the shop doors. Little boys selling keychains with the Palestinian flag, bracelets with the colors of the flag. Their abstract concept of home is everything, yet is reduced to trinkets. Narrow sidewalks for the Palestinians, wide streets for the Jews. Walls, separations, trash clumped by settlers thrown down on the heads of Palestinians in the streets below. Jenin, with families. Drinking tea and eating dinner with Palestinian olive farmers. Listening to stories they are so hungry to tell. My narrative, the Jewish narrative, has been told the world over. I need to listen to theirs’. Pictures of Jerusalem around the house. They have never been to Jerusalem, and yet they live so close. Tent of Nations. Daoud Nasser’s family has owned his property since 1919 and now they might lose it. Surrounded by settlements. No running water. No electricity. Just wanting to stay in his home. But his family has owned the land since 1919. I fell in love in 1987. He has preceded me by decades. They have all preceded me. Shabbat morning. A beautiful Torah portion is chanted and a thoughtful D’var Torah delivered. We sing, hum, close our eyes. I see a tallit, Brant’s kippah, we have an oneg. We’re in East Jerusalem, on Salah Ed-Din Street, we’re Jews, and we’re talking about Israel/Palestine. Someone shares with us her visit to Poland, seeing Jewish graves. We were in Jaffa, and we learned about the first Israeli five-star hotel, built on top of a Muslim cemetery. It is Shabbat. Said could see Zionism from the Jewish point of view. I need to see it from his point of view too. It is Shabbat. The morning sunlight hits the Jerusalem stone buildings in the way that makes the buildings look rose colored — Jerusalem Gold. They deserve to be here, to be welcomed here, they need to be here. Judaism is about justice and equality and peace for everyone. When it comes to Israel, we always hear, “It’s complicated.” Sitting in East Jerusalem sharing with other Jews our complex feelings, things have become quite clear. Shrieking in its contradictions, this all just makes so much sense. What lies ahead: ensuring that all people have equal rights and access to the same things. As Jews, we should demand a no less kind of justice. This entry was posted in Human Rights, Israel, Jerusalem, JRC I/P Study Tour 2010, Palestine on January 1, 2011 by Rabbi Brant Rosen. Thank you for sharing this. During my undergraduate years I used to take classes in Biblical Hebrew at the Jewish chaplaincy, and there would always be posters up advertising Birthright trips to Israel and plenty of people willing to chat enthusiastically about their visits. We discussed everything from intensive summer language courses at Hebrew University to Dead Sea spas to where to get the best early-morning bagel. And I would be sitting there, wondering, “Do I bring up my visits to Hebron? Aida? 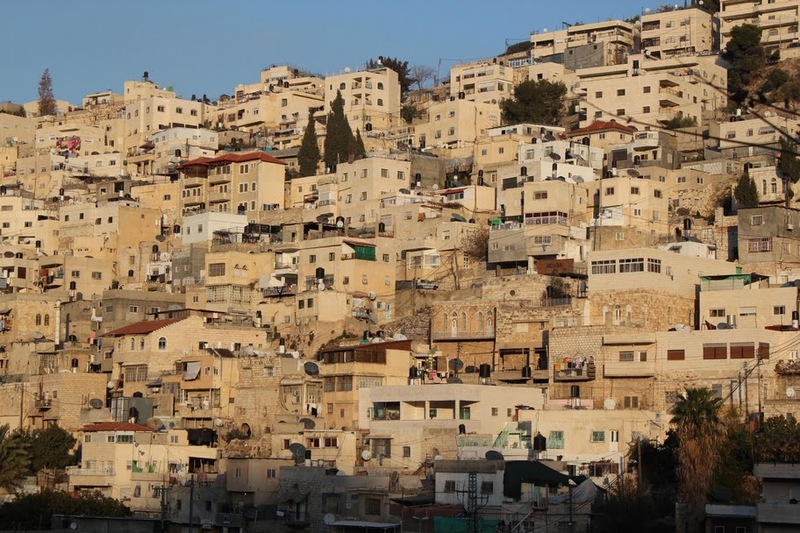 The Palestinian towns in the Galilee, where people with Israeli citizenship live in conditions that give the lie to any notion of equality?” I spoke about these things once or twice, with good friends, and the subject was always changed at once. No one else had been. It’s incredibly heartening to read about Jews who are willing to make the trip. I am so grateful, Liz, for the journey you have shared. You begin with a youthful love affair with a magical and symbolic place representing redemption and all that was good. You then, however, took us through the complicated and confusing reactions as one who grew to be more committed to principles such as truth, fairness, justice, and compassion instead of youthful fantasy alone. This demanded that you adjust your perspective and be willing to take a stand for truth which resulted in you appearing disloyal to your lover. Thank you for sharing and thank you for the courage to follow truth wherever it leads. This is beautiful Liz. Wouldn’t the world be a different place if we were all willing to simply hear each other? You are a blessing to your heritage and to all of us who are part of your life. Hello Liz. I am Kathleen’s brother-in-law, and she shared your post with all of us. It is hard to imagine a situation on our distracted globe where the type of understanding you express in your post is more necessary. I believe that those who pursue connection through impossible misunderstanding are our true “warriors.” I hope you find a way to continue exercising your profound and truthful perspective in the service of a new and lasting peace in the Holy Land. Shalom.